Shortage of a living space in urban areas can be a huge problem causing astronomic rental prices. 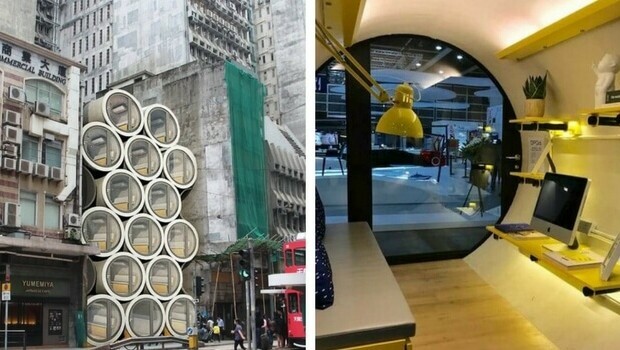 Hong Kong has a problem of this kind and maybe you’ll be surprised to learn that renting a small apartment in this city would cost you more than $2,000 for a month. 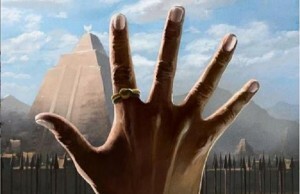 The alternative to this are cheap black market apartments and living conditions on a very low level. 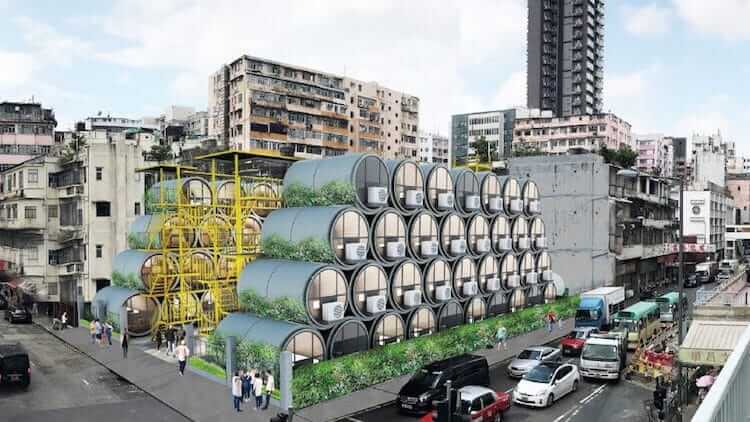 Luckily, a solution to this huge problem Hong Kong is dealing with seems to appear in a form of affordable micro-houses called OPod Tube House. James Law Cybertecture, a Hong Kong-based studio, is standing behind developing of this interesting project which will certainly improve conditions on Hong Kong’s real estate market. 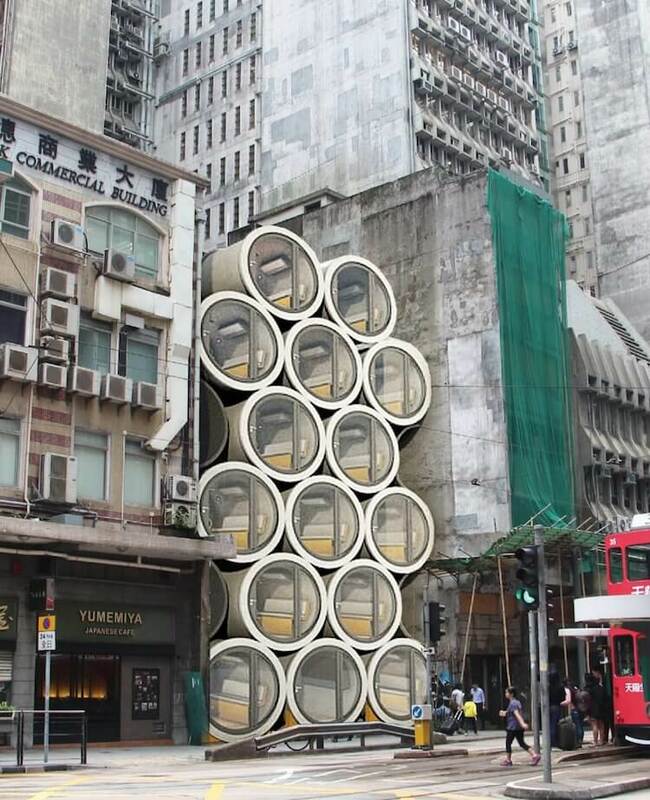 They’ve built a prototype of the OPod Tube House, a concrete water pipe transformed into modular housing. 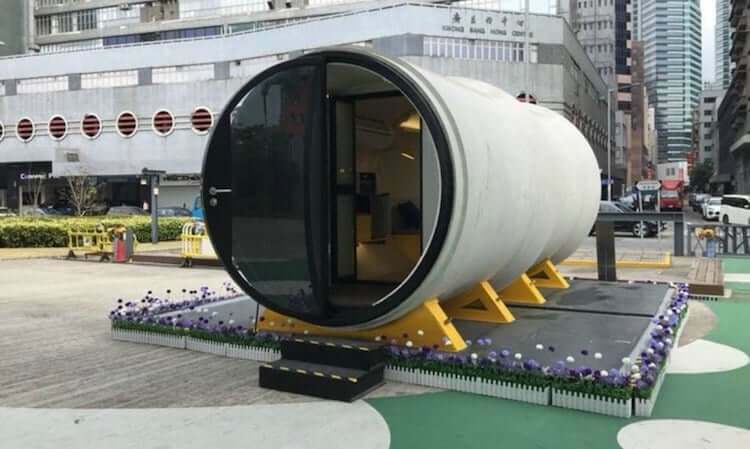 This small houses in a pipe should be enough to provide a decent leaving space to one or a two people. 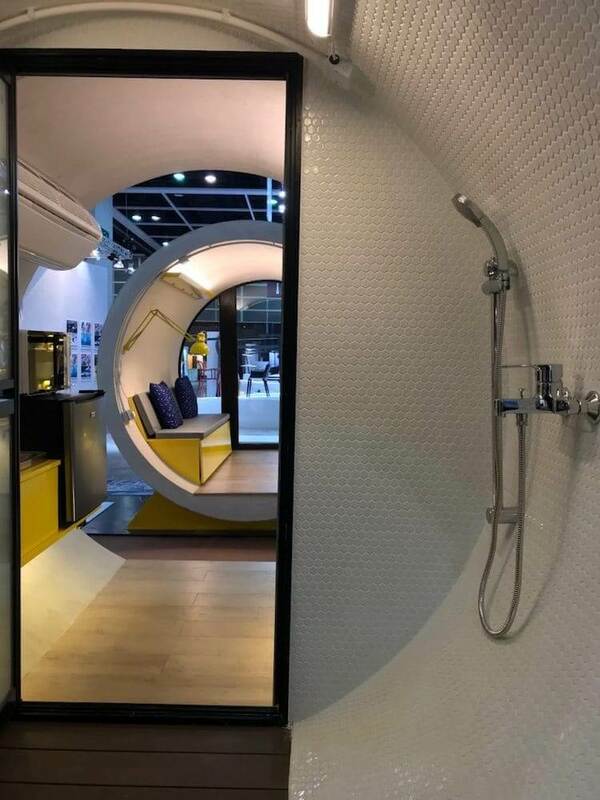 Measure of the water pipes transformed into tiny homes is a little over 8 feet wide. 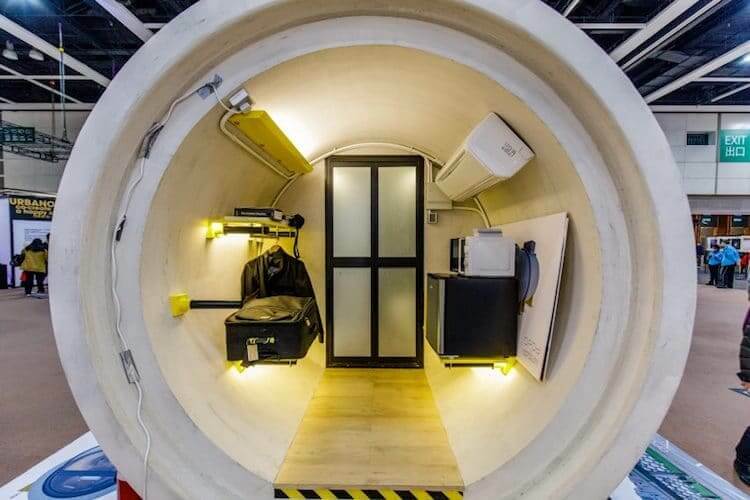 OPod Tube Houses have a standard feature of any apartment: a foldable bench that doubles as a bed, space for a microwave and mini-fridge, and a bathroom area at the rear. 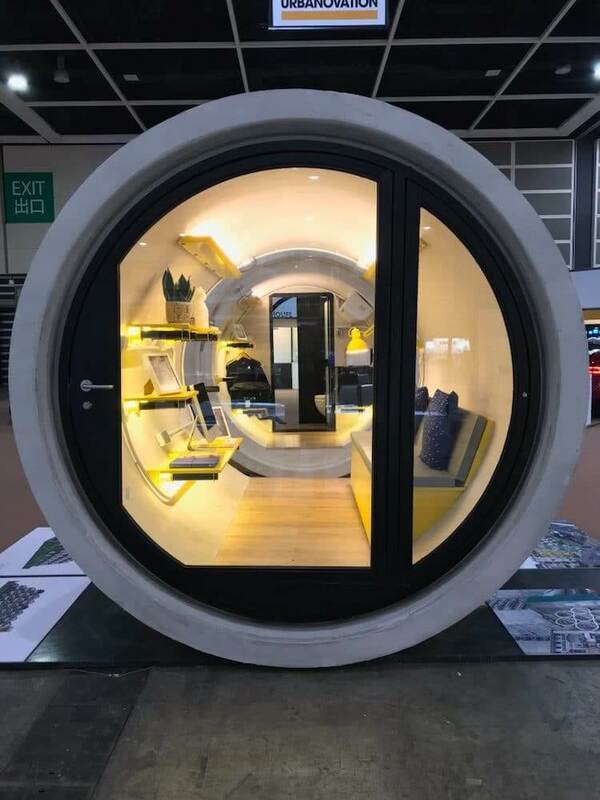 Round door can be maneuvered via smartphone and also doubles as a window to let in natural light. 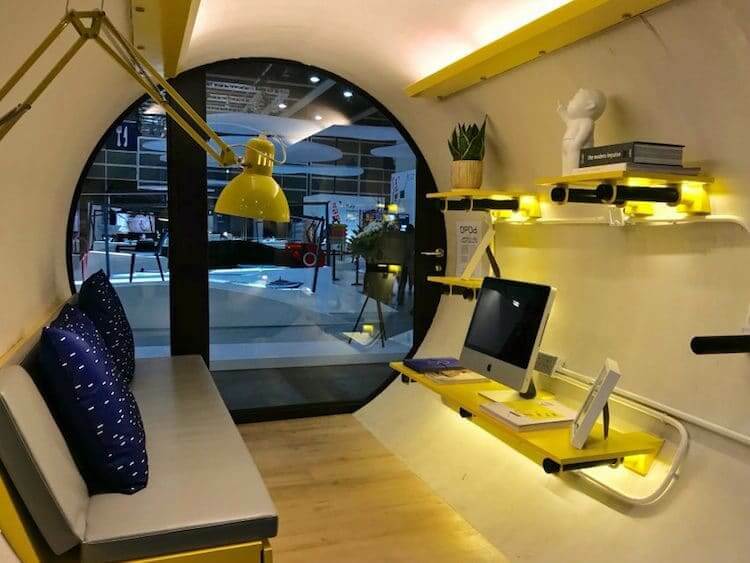 The designer of this practical micro houses says that they are made for young people who can’t afford more expensive solutions. The rental price of this tiny homes is expected to be around $400 per month. Another great thing about OPods is that they could be placed almost anywhere. “Sometimes there’s some land left over between buildings which are rather narrow so it’s not easy to build a new building. 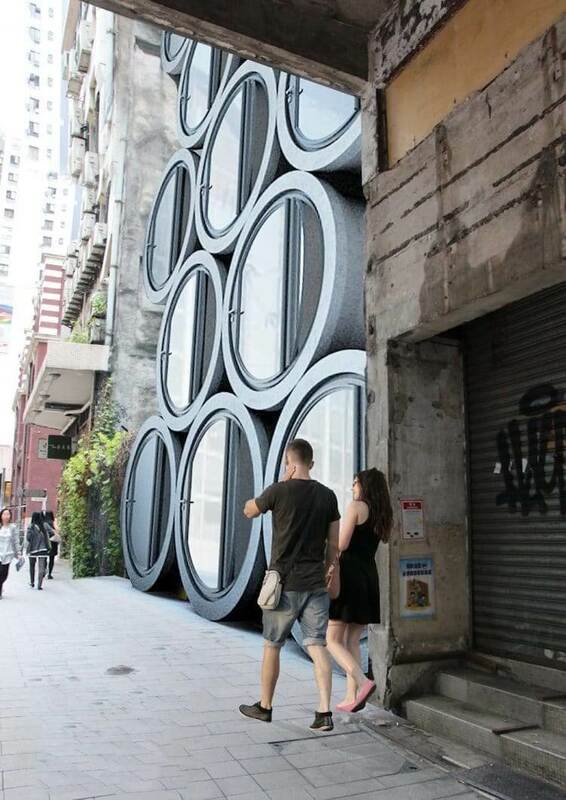 We could put some OPods in there and utilize that land,” Law told for Curbed.